Spine specialist, Dr. Chris Osterlitz and his patient, Roger share their stories of a successful outcome of conservative treatment for neck pain in this patient with a previous neck surgery. In 1990, Chris received his bachelors of science in Human Biology from Plattsburgh State University in Plattsburgh, New York. In 1994, he completed his license for massage therapy and began private practice. In 1995, he received his doctorate in Chiropractic from Western States Chiropractic College in Portland, Oregon. Through the years, Chris has developed a multifaceted approach to evaluating and treating patients. His techniques include Cox spinal decompression, drop table and manual chiropractic for spine and extremities, Graston Instrument Assisted Soft Tissue Mobilization, Craniosacral Therapy, Myofascial Trigger Point therapy, Myofascial Release/Unwinding, Clinical/Functional Nutrition programs and rehabilitative exercise programs. Chris blends these Chiropractic and soft tissue therapies as each patient requires or requests. He incorporates many of the above techniques with most patients as the treatment plan progresses. Clear communication and respect for the patient’s needs and requests are of great importance. Chiropractic adjustments are performed with full awareness of the patient and gentle adjustments are utilized as a first option. 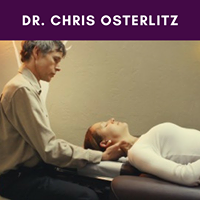 Chris is a member of the Oregon Board of Chiropractic Examiners, Washington State Chiropractic Association and Oregon Chiropractic Association.